This 4 braids hairdo is my favorite to do in summer. 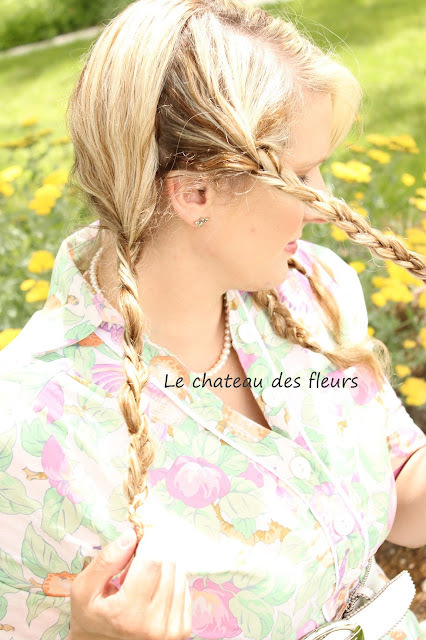 It is Vintage looking with a Vintage dress or classy with any outfit, but also looks cute with a T-shirt and jeans. 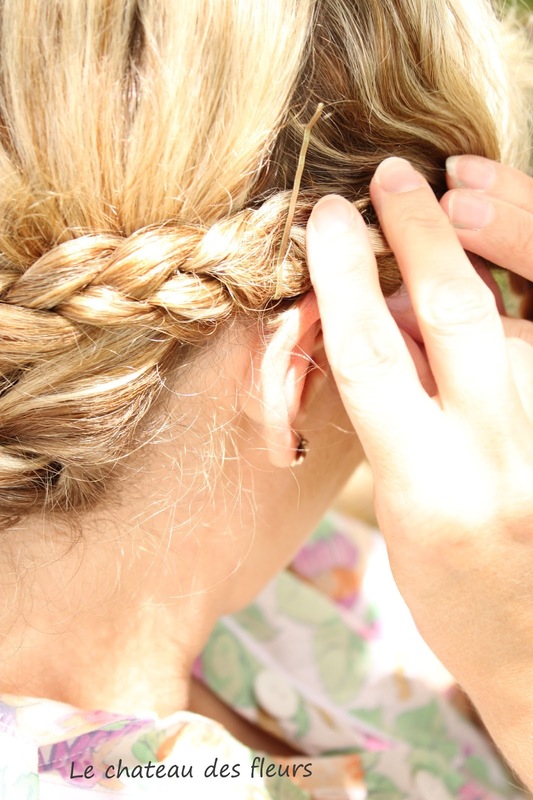 I love to do this on Sunday morning for going to church because I can do it with wet hair.It's super easy, super fast! Make 4 braids. 2 on each side of the head and 2 with the hair on the back. Use a comp for separating the parts evenly. 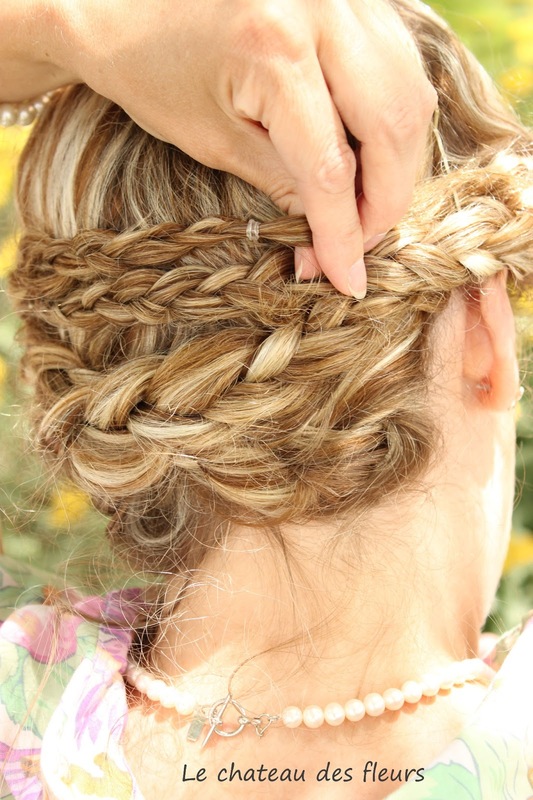 Take your first right bottom braid and cross it around the back to hide the end underneath the left top braid. Pin with 1 bobby pins. You can also fold the end and pin it. 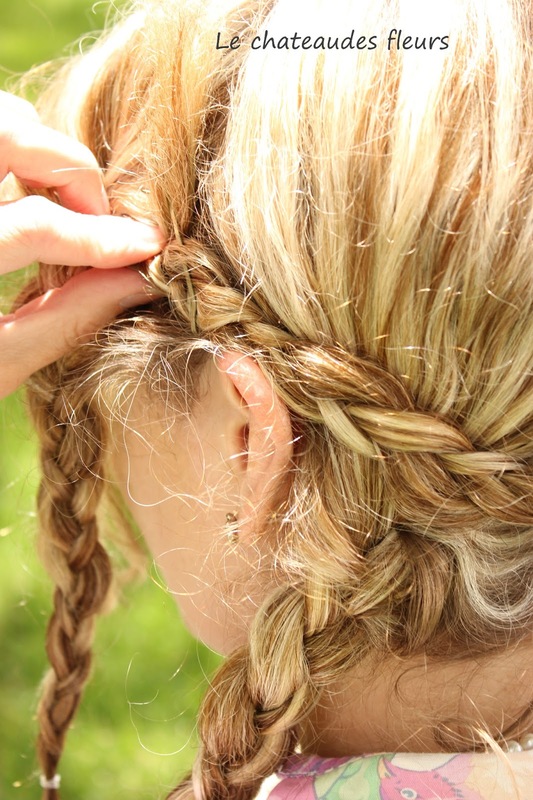 Do the same with the bottom left braid. 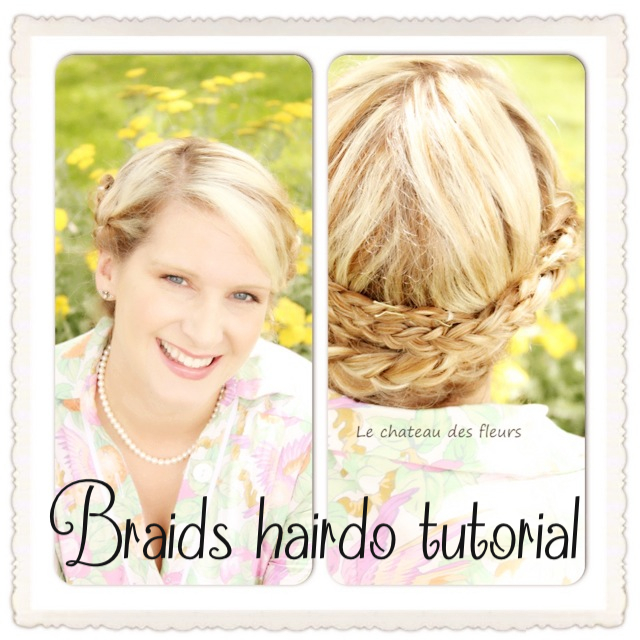 Now you have your bottom braids pined under your top braids. Pin your top right braids across under your top left braid. 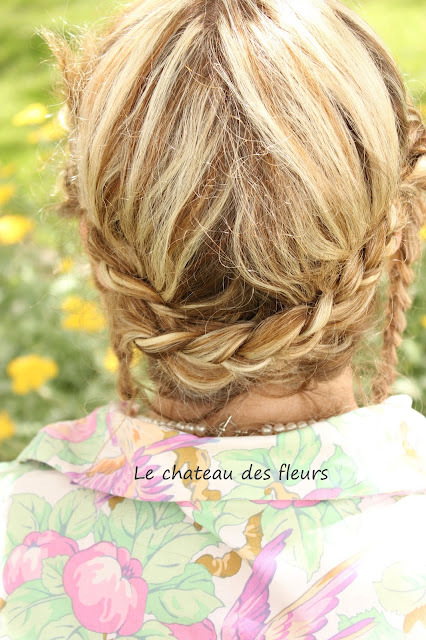 Pin your top left braid under your right top braids or pin and tuck the end under the closest braid. 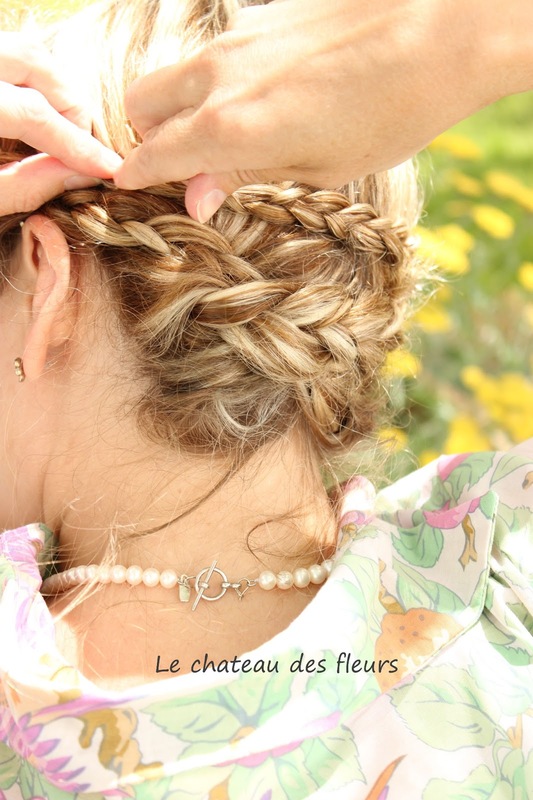 You have a beautiful 4 braids updo! 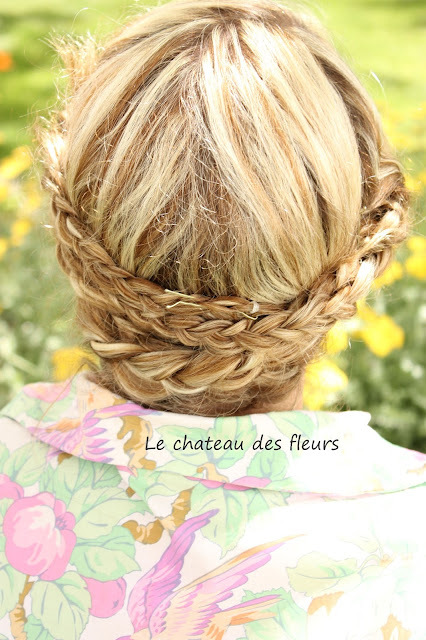 Do you do updos? What kind? Gorgeous!! I don't do updo's because I hate my ear lobes. Weird, I know. This is so pretty! I'll have to try it with my daughter's long hair. Thanks for the tutorial! Pinning. Very pretty! :) Great tutorial!